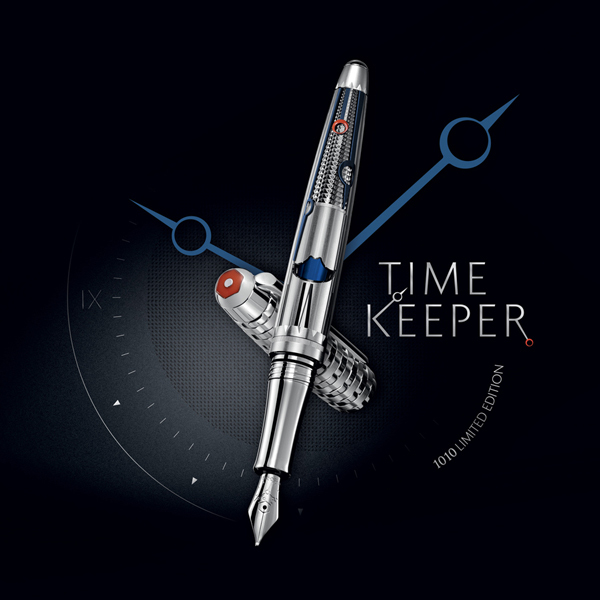 The 1010 Timekeeper limited edition displays its technical dimension on the silver‐ and rhodium‐plated body of the 500 carefully crafted pieces. 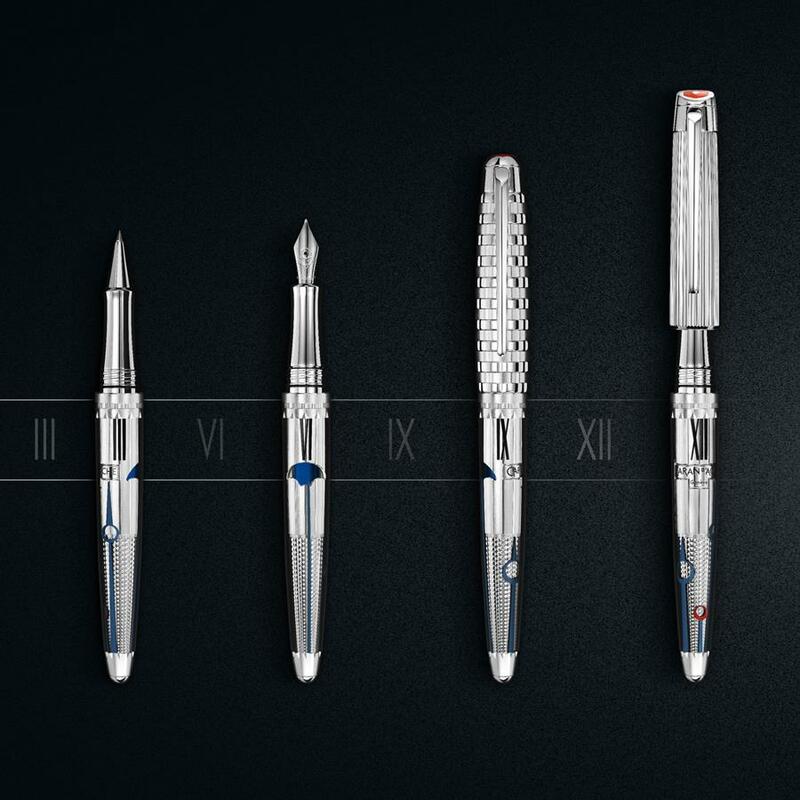 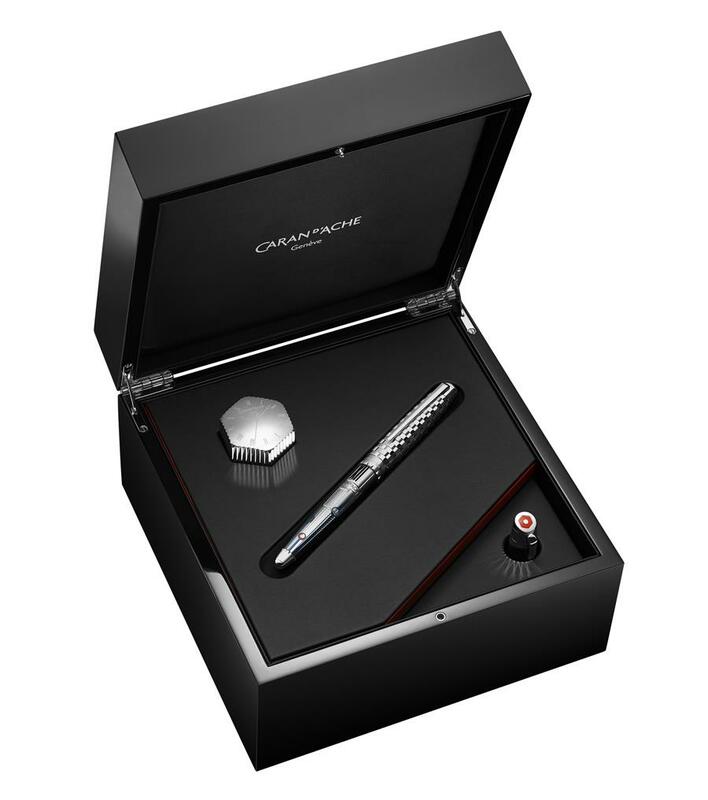 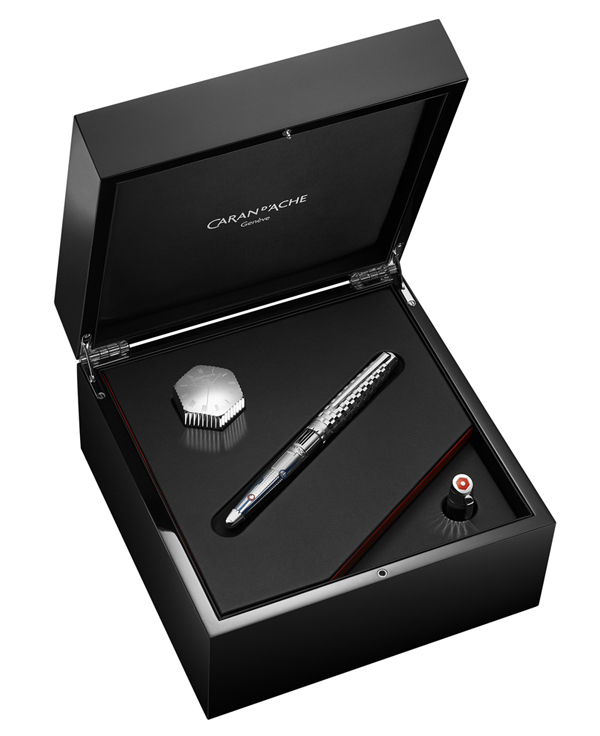 Several elements of the exclusive know‐how of the Maison Caran d’Ache’s master‐artisans are brought together to create this unique writing instrument: guilloche, engraving, manual polishing, lacquering and PVD treatment. 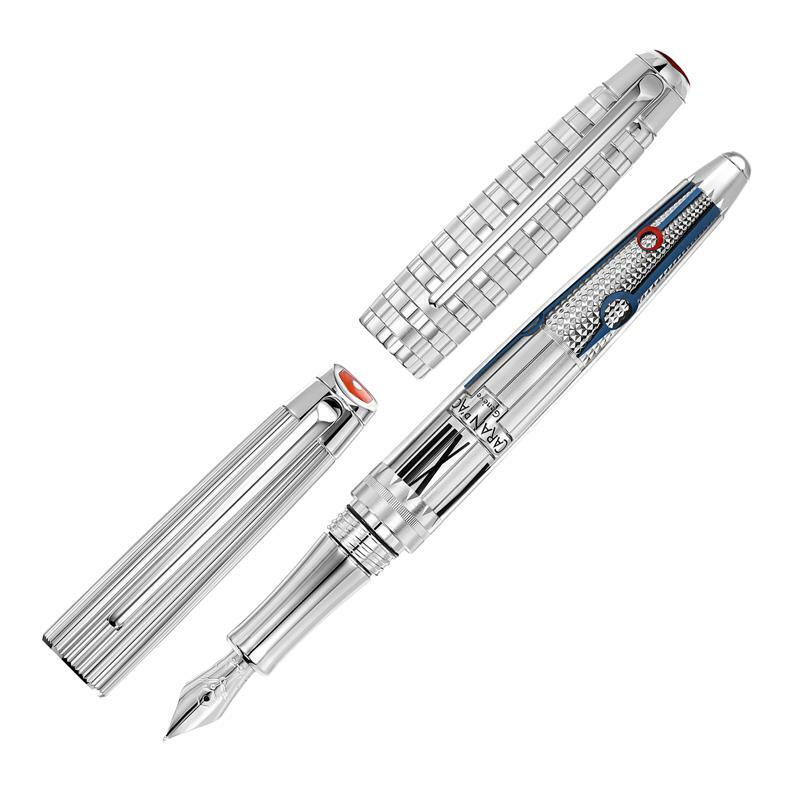 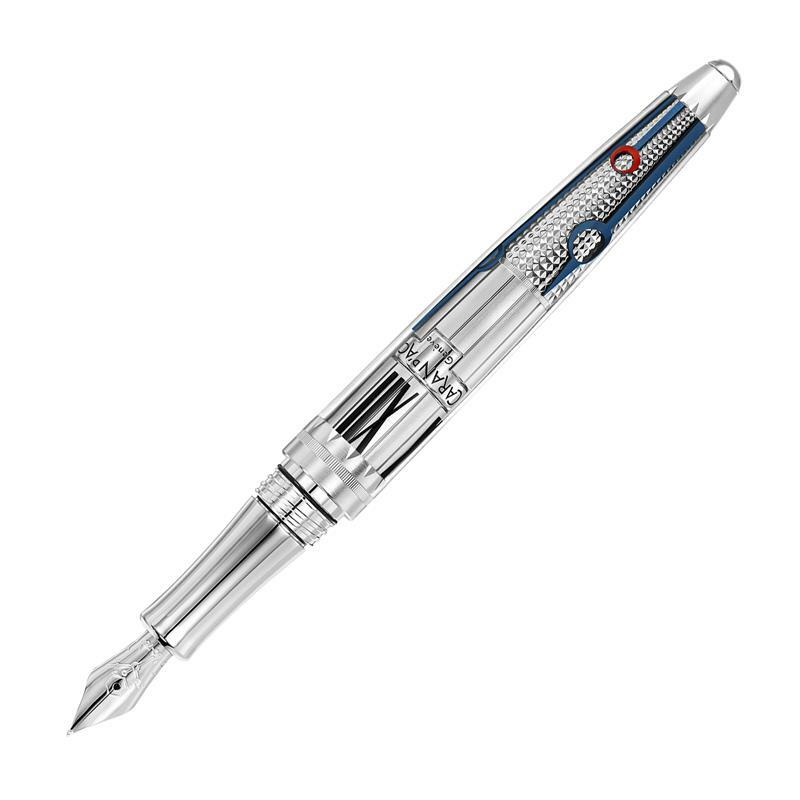 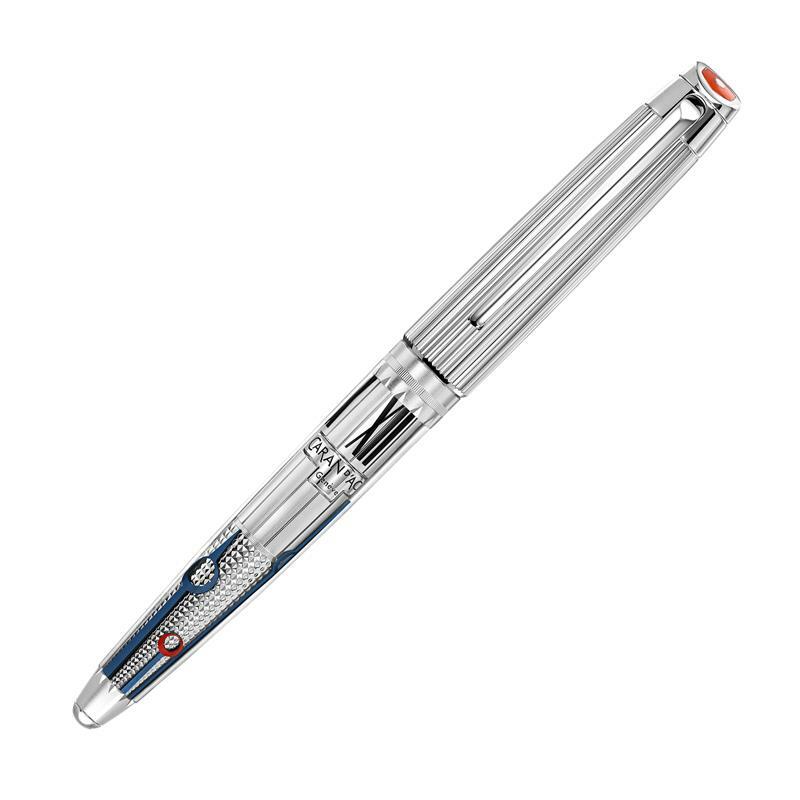 A semi‐transparent sheath in lightweight and resistant polished synthetic glass surrounds the body of the writing instrument, lending it a brilliant appearance. 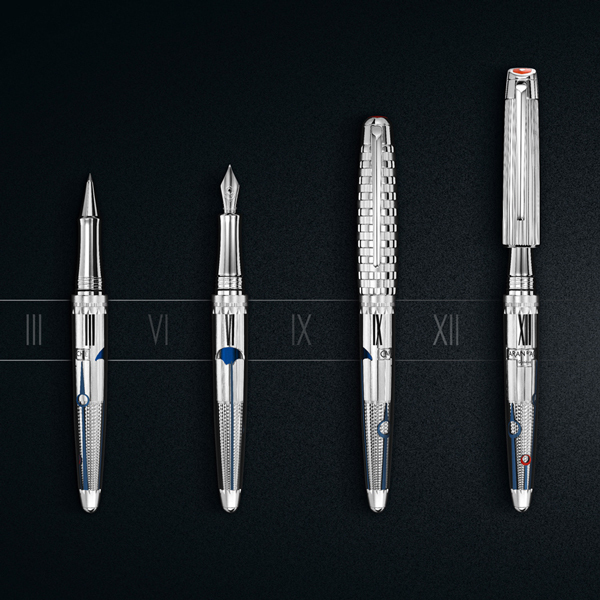 The 18‐carat‐gold, rhodium‐plated fountain pen nib is delicately engraved with the 1010 hands.